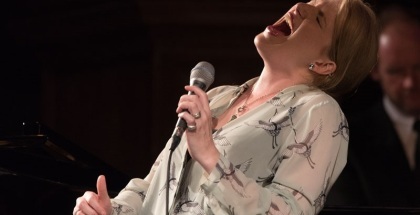 Award-winning jazz vocalist and Radio 2 presenter Clare Teal has been hugely successful. She’s performed with artists like Jamie Cullum, Liza Minnelli and Katie Melua and had many critically acclaimed albums. With dedication she pushes ahead with her ambition to bring big band and swing to music lovers everywhere. Interviewer Anthony Weightman chatted to her ahead of her hectic touring schedule in February. Anthony Weightman: What a spectacular snowy landscape we’ve woken up to this morning! Does it inspire to sing a particular song this morning like Irving Berlin’s ‘I’ve Got My Love To Keep Me Warm’ by Billie Holiday? Clare Teal: There you go. Yes, in Wiltshire it’s quite thick here. For once I don’t have to get out to get to a gig. So ‘Let It Snow’. I’m working away on the new show we launch in February. Anthony Weightman: Instead, how about your wintry version of ‘California Dreamin’ by The Mamas & the Papas? Clare Teal: Plenty of that. Anthony Weightman: Can I ask how you feel about your various performances coming up including your Big Mini Big Band at Cadogan Hall this February ? Clare Teal: Hang on. Just let me try and stop the dogs from barking. I look forward to it. This time of year I have to immerse myself in new stuff. I find it really inspiring. Pianist Jason Rebello works with us in the band. My old musical director Grant Windsor moved back to Australia, but we still have a connection. Also there’s Guy Barker. We have all these different voices who are writing for the band. It’s such a flexible and fantastic ensemble. There’s enough brass that you really get that feel of what a big band sounds like. You can break it down and just use a couple of the soloists. I like to pay tribute to some of my favourite singers. It’s so much fun to have all these different tools. I love it. I find it inspirational. I find it’s rejuvenated my interest in the importance of arranging. It’s nice for the audience to know how these things happen. Anthony Weightman: It’s interesting to look through comments people have made about you. “She adds something fresh to even the most tired of songs” is surely a great compliment. “She’s a Yorkshire version of Victoria Wood…If she ever feels like a career change, she could be receiving as much adoration as a stand-up comedian.” That speaks about your versatility. “A Barbra Streisand quality, understated and powerful.” Another fine bit of praise, I think. 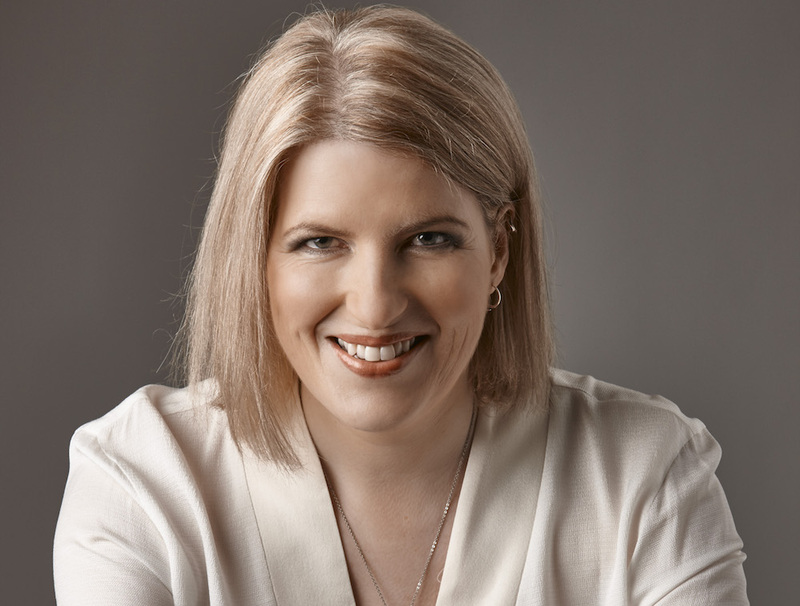 Clare Teal: I love what I do and I love the people I work with and I think that’s what keeps you looking for new stuff. When my radio show went live, I was asked to have more control over what I played. It’s a luxury that many people can’t afford, but I have to consume vast quantities of music that I absolutely love. You’re listening to different things. It ignites your passion. I listen to things I might not necessarily be drawn to, but end up loving. It’s expanded my mind. It’s good for you on so many levels. You’re always learning. Anthony Weightman: I very much enjoyed ‘Merry Christmas Baby’, the Gregory Porter TV special from Cardiff, in which you appeared as a guest. To me, it did succeed in capturing a feeling of intimacy and warmth. But, how easy is it to put together a show with such a relaxed feel at such a stressful time of year? 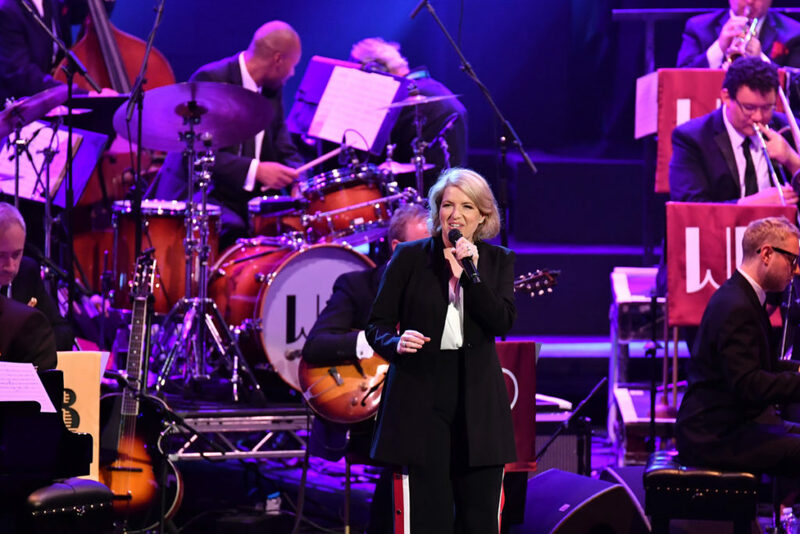 Clare Teal: I’ve found that, working with jazz musicians, they are very at ease. They tend to be able to play in any style. They’re hugely proficient if you just want them to read something. There’s nothing to worry about there. I’d worked with Gregory a few occasions before and he’s very relaxed. The production team have to capture everything and get it right. You also had Courtney Pine. Corinne Bailey Rae came onto my radio show. We were doing a live performance from Cheltenham. We had a lovely chat. She sang ‘All Of Me’ and it was very creative and spontaneous. Anthony Weightman: I loved ‘Baby It’s Cold Outside’, the duet you did with Gregory Porter, written by Frank Loesser. Personally, I’ve always felt it was a harmless, flirtatious song that’s amusing and has a great deal of charm. But, how do you feel about the criticisms of this song? Some say it’s a creepy, sinister, manipulative song with predatory undertones and about sexual coercion. Last year it was even removed from some radio station playlists, although I understand some of those stations have reversed that decision. Clare Teal: I look upon it as a great melody with clever lyrics. You can read as much cynicism and darkness into whatever song. In my mind I think of Ella Fitzgerald singing with Louis Jordan and Ray Charles singing with Betty Carter. I remember the original Esther Williams version. It’s never bothered me. The funny thing is, Gregory said “Remember, you’re the straight guy & I’m the fool” and I said “Of course, but I’m actually the gay woman and you’re the fool”. We were giggling. It’s funny. We had some fun with that. Frank Loesser wrote these wonderfully witty lyrics. I think you’ve got to take it in the way it was intended when it was written, but the irony wasn’t lost on us. Anthony Weightman: It’s said there are musicians who put on a brilliant performance and then return to their homes or hotel rooms not feeling that they’ve achieved what they wanted. You’ve spoken about the importance being “your own harshest critic”. Are you sometimes too tough with yourself or not tough enough? Clare Teal: In live performances, I love it when things go wrong. We were at a gig fairly recently and, just before the second half, the Front of Stage Manager was concerned because a car engine had been running in the car park since the beginning of the show with nobody in it. In these times, unusual things worry people. Jason at the piano said “that’s my car”. He shot off . We were without a piano player and the audience was helpless with laughter. The guys started spontaneously playing something and Jason walked back in, sat down and started playing again. Live performance is wonderful. All my records are full of imperfections, tiny ones, but that’s what makes them magic. Anthony Weightman: There are cover versions of yours that seem to reinvent originals and reflect your own personality. There are also those that are very close to the originals like ‘Light Flight’ by Pentangle, with its complex rhythms. which I loved. It’s a classic ‘folk rock’ song with a beat that includes jazz chord structures and time signatures. Jacqui McShee sung about getting away from the ‘city race’ and seeking a rural existence. Did you simply feel that the song just didn’t need to be changed much? Clare Teal: Sometimes you can sing a song very fast and you can do what you like with it. The music seems to be moving at twice the pace of the lyrics. There’s a kind of smoke and mirrors element. With a song like that the melody is so detailed. I love singing complicated things. It feels wonderful because you have to work really hard to learn it. The satisfaction of getting that right is fantastic. It’s such a perfect melody. I just enjoyed singing it. Anthony Weightman: I once met Jacqui McShee just after Bert Jansch sadly passed away and I thought she remembered him fondly as a fairly quiet man with considerable depth and insight. Clare Teal: It’s a lovely tune. It’s a lovely song. It’s quite liberating to sing it. Anthony Weightman: You’ve spoken about how audiences needs excitement and escapism. Do you follow the traditional view that a good imaginative experience means that a person can return to reality enriched and more able to cope with the world? Clare Teal: I’d put it in more northern terms as value. That’s emotional value as much as financial value. I want people to come and share an experience with us, and they play a part as much as we do. If you sit there with your hands crossed and not clap, then it changes our experience as well. We’re a family for the evening. We’re sharing an experience. We’re creating music and we’re all enjoying ourselves. I want the audience to feel a part of our family. We do have a laugh and talk about all sorts of things. It’s good fun. Anthony Weightman: Your most watched video on You Tube still seems to be your cover of ‘Chasing Cars’ by Snow Patrol. What’s do you think has been the key to their success? They’re often described as genuine, moody and playful but never insincere or sentimental. Clare Teal: I think you know when a song is sincere and when it isn’t. Sometimes when a jazz singer sings a modern popular song it makes your toes curl up. Snow Patrol’s songs are anthemic but also colloquial and about everybody. The tunes are simple, but beautifully crafted. Weirdly, when I tried it, it seemed the most natural thing. It was one of those happy accidents. It’s a reminder, as well, that great songs are still being written and that singers shouldn’t be frightened of new material. Anthony Weightman: Knowing your adventurous spirit, is an auto biography something you’d like to do at some point? Some people who try don’t find them easy to write. Clare Teal: I don’t know. I’ve written a column for the Yorkshire Post for over 10 years. When I look back, there’s more than a book there. Things that have happened along the way. I’m quite proud that I’ve done that. If you think that you’ve got something to offer, then perhaps. I’d never assume that I’d be able to do something like write a book.